You know the risks. Chasing something is a gamble and you may have your heart broken in the end. Birders are known to have something they chase. “What’s your target bird?” we’re often asked when we show up in a country or area we’re exploring. I’m not going to lie. I often have a target bird and so does Steve, though we don’t pressure ourselves or our guides to see the target, but hey, if they know where this bird hangs out we certainly would like to see it. 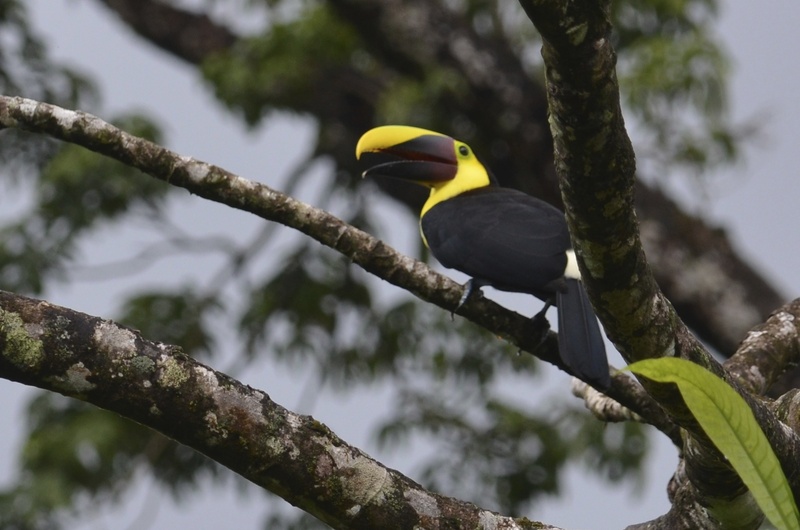 On this trip I had a target bird, or rather, a target job to do: Get a decent photo of a toucan–any toucan. 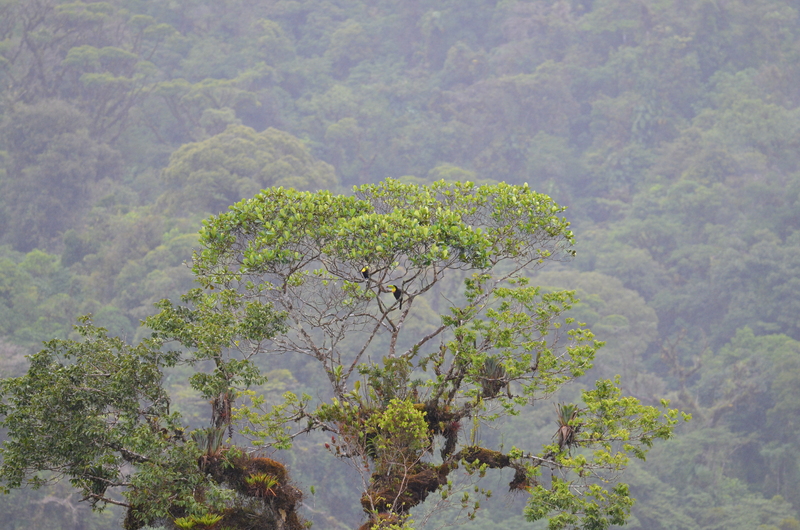 Of course I’ve seen toucans in the wild but the lighting was always really lousy, or the the birds were camouflaged in a tree, or they were just much too far for any decent photo, so I’d end up with just a spec in the distance. Every time we’d go to Latin America someone always has a story to tell of a great toucan shot. I know, Toucans are the obvious bird to get and to some it might seem rather pedestrian, but let’s not fool ourselves. It’s a crazy looking colorful bird and if I’m going to go back to the office with tales of my global birding adventures, certainly I should have a decent toucan shot to show, no? 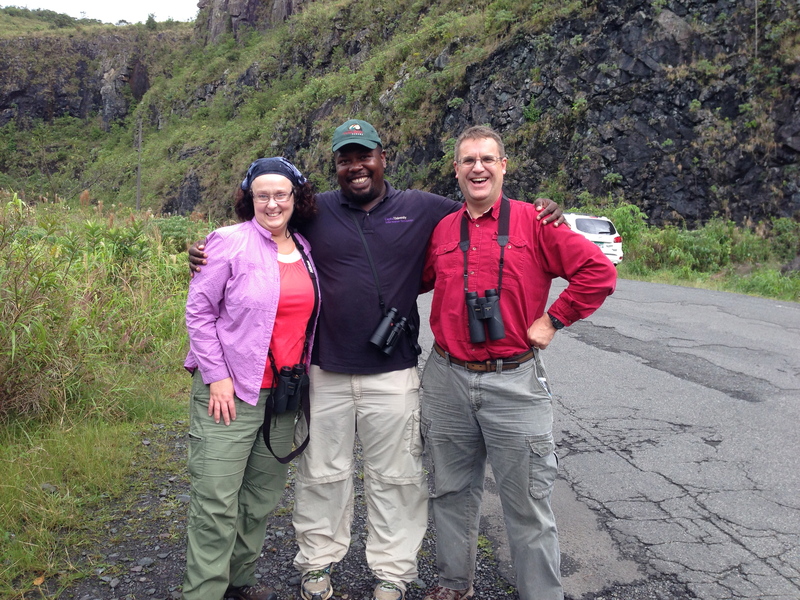 Unfortunately, Beny was doing a tour with Panama Audubon at the same time we were in Panama. Ah, rats! It was killing us as we both documented on Facebook and Instagram our travels, realizing how close we were, but unable to adjust our schedules for a meet up. Damn. It’s just like the Toucan. 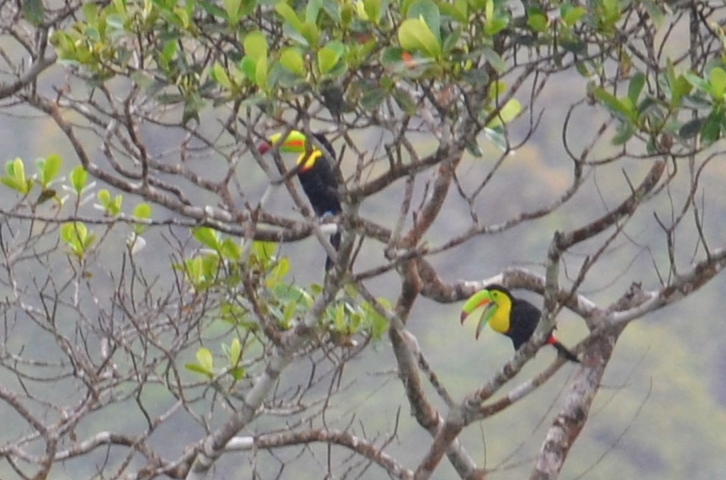 These Keel-billed Toucans are more concerned about courting than they are in giving me a close-up shot. About the same time there was a mystery hawk perched on a tree stump and while Steve and our guide, Terry, were glued on it with their binoculars I took the time to do what I do best: I took a selfie. It was a very rainy day and normally it stops, but not on this day. At least it wasn’t really cold–not like it can be in the Pacific Northwest in the U.S. It’s like when it rains in Hawaii–you really don’t mind it at all, except the birds tend to hunker down. We still soldiered on and had a relaxing morning of birding because we weren’t using any bird song playbacks and I was finding I rather enjoyed it that way. Steve and Terry cross a stream looking for birds, of course. We hung out at the small unmanned ANAM (Autoridad Nacional de Ambiente) station at Oleoducto Road where we picnicked and spent most of the morning and early afternoon because it was quite birdy. We saw the Rufous-tailed Hummingbird (natch), warblers (the usual suspects), a White-crowned Parrot,and I finally got a good look at the Purple-crowned Fairy. I didn’t take a lot of photos like I usually do mostly because of the relaxed way we were birding. In the past I would not take binoculars (I know, crazy, right? ), but would look at birds through my camera lens. However, this time I came with new binoculars Steve bought me for my birthday and I was focusing on the birds so I could describe them, not to take a photo of them. No song playbacks and no pressure to get photos. Besides, it was raining so much–heavy at times–that sometimes the birds would just plain disappear and then when the rain would stop we’d see what would pop out. We heard some toucans calling. It was mating season and they were calling out to pair up. It wasn’t the usual deep croaking, but a higher pitched squawk. There wasn’t just one or two, there were EIGHT! 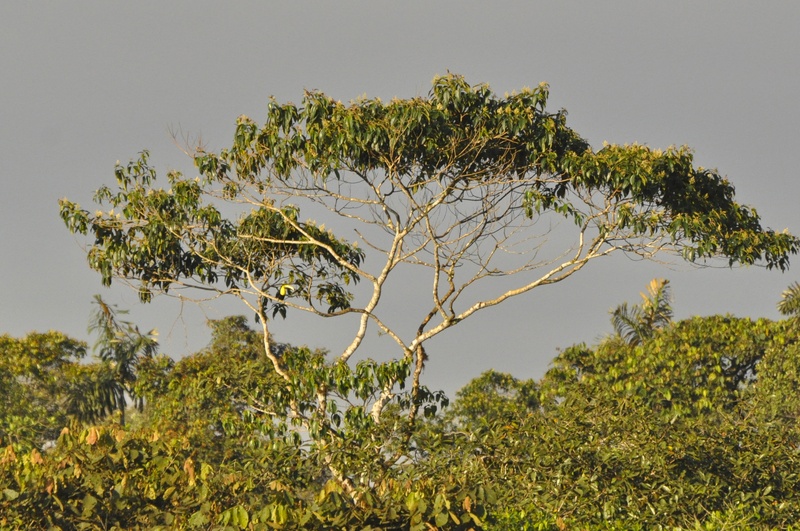 I couldn’t believe it–I was surrounded by toucans lifting their heavy bills into the air, calling to the females almost in a melancholy, pining way. What a special moment it was. You could wring out my heart and a puddle of joy would flow out. I not only got a good photo of the Chestnut-mandibled Toucan, but also was witness to such spectacular avian seduction. It was going to be a long drive (about two hours) back to Tinamou Cottages where we were staying, so we headed back just as the sky finally started to clear. And then we saw it. A group of birders on the side of the road. Steve and I hollered for Terry to pull the car over. We jumped out and ran across the street. It wasn’t until Beny saw us get out of the car that his big eyes lit up and that familiar smile I missed so much took over his face. There was more of that joy that filled my heart and more puddles around us all. “Panama is really more like a city,” Terry had told us earlier that day. It is. And glad we found our friend in the city of Panama the country. Target #2—a surprising success! 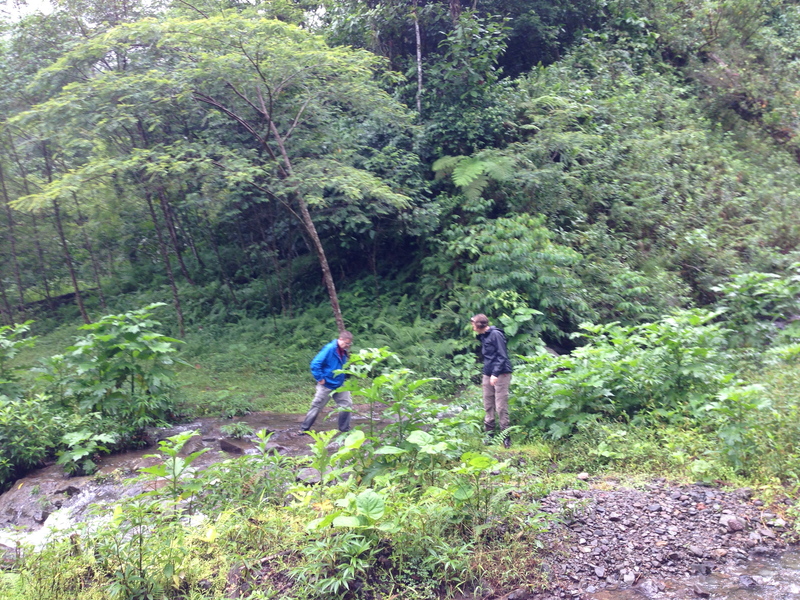 I shot this über short video while Steve and Terry crossed a stream to check out the other side for birds. (They came back with nothing to report, so I’m glad I didn’t cross the stream of slippery rocks, which was only eight feet from the top of a waterfall, guys.) I talk about snakes. Yep. Snakes. Click on it to get it to play. The “mystery hawk” was a Sharp-shinned Hawk – a rare winter visitor from North America. There is some debate over the “mystery dark flycatcher” – perhaps a juvenile Dark Pewee. Its habits were typical of a flycatcher sallying forth after flying insects and returning to the same dead branch perch and its solid dark plumage suggested a Dark Pewee but its bill just didn’t seem right. Oh well, I guess that it will remain as a mystery bird. Thanks, babe! Yes, the Sharp-shinned hawk. I envy you standing on a continental divide. I thought it would be more weird than it was. Maybe it depends on the divide. Upon further investigation it appears that the adult Dark Pewee has the slightly reddish/buffy lower mandible whereas photos of the juvenile Dark Pewee show a grayish bill. Therefore I am willing to make the call that the “mystery flycatcher” we saw was a juvenile Dark Pewee. BTY, the snakes we were talking about were the highly venomous Fer de Lance and the equally deadly Bushmaster. While anti-venom properly and timely administered would probably save your life a snake bite from either species would be extremely painful and traumatic. Bingo! You always get them right. I enjoy reading your birding adventure blogs over the years. I’d like to ask you if you liked your stay at the Tinamou cottage in Boquete. My husband and I are thinking of going to Bocas del Toro and Western Panama may be in two years. 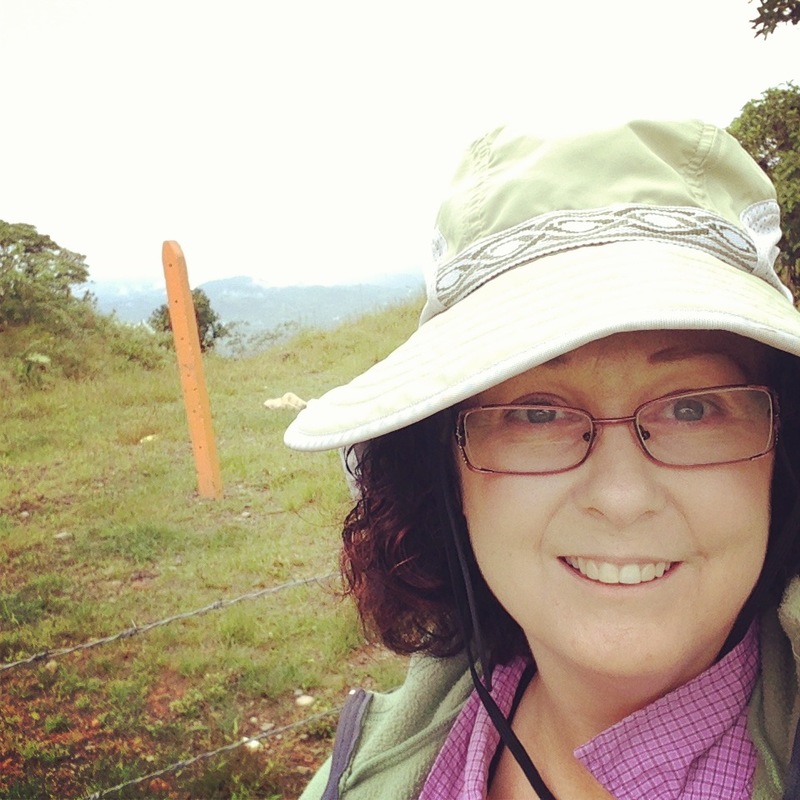 We were in Central Panama last summer and loved our first birding trip there. We were at Canopy Lodge and Towers. Do you think it would be better for us to fly from LAX to Panama City then to Bocas del Toro first before going to Boquete? We don’t know much about the logistics of getting around places in Panama, since we were there only one time, so any tips or suggestions about transportation, bird guide or lodging will be greatly appreciated. By the way, are you still planning on retiring in Panama?